Rounds 3 and 4 Overview: Click here for James Davies’ in-depth reports on Round 3 and Round 4. 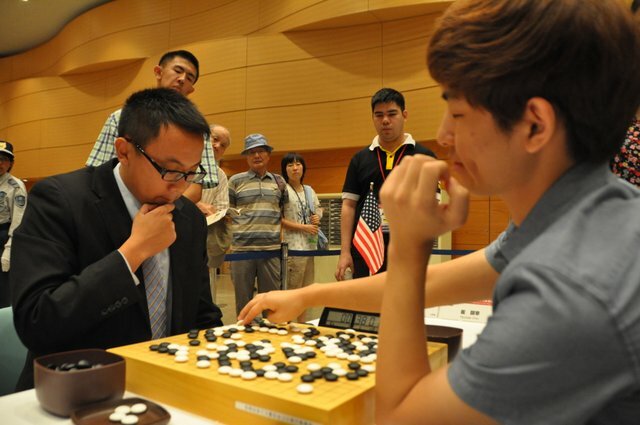 U.S. player Curtis Tang (left) — one of only two players to earn the title of Redmond Meijin — shows good fighting spirit against Hyungjae Choi of Korea, one of the most formidable players in this tournament. Click here for the commentary. “This is a very short but interesting game,” says commenter Michael Redmond 9P. 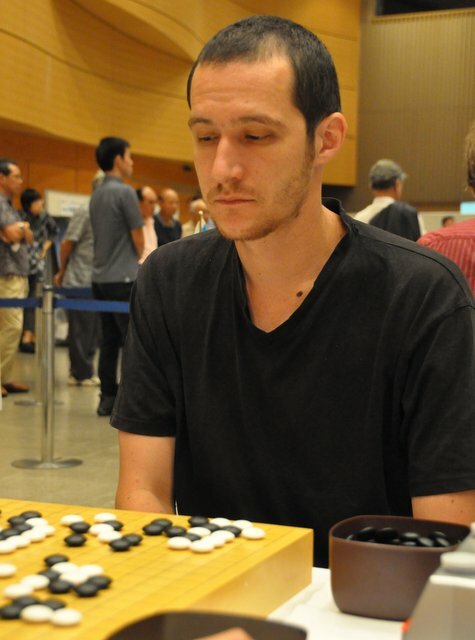 “Hungary’s Csaba Mero (right) handles a challenge well and gets a fairly severe attack going on Yuging Hu of China, but at a critical point in the fight, an apparently natural move turns out to be a fatal mistake.” Click here for the commentary. Every story has a beginning: Three WAGC participants — Andrés Aguilar (Ecuador, 1 dan, at right), Krzysztof Giedrojć (Poland, 4 dan) and Aleksandar Savchovski (Bulgaria, 1 dan) — explain how they started playing go. Click here for John Richardson’s report. 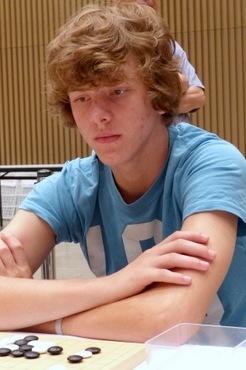 Interview with Franz-Josef Dickhut: Germany’s representative talks about the new crop of strong young German players…click here for the full interview. Interview with Pavol Lisy: Slovakia’s player explains how a childhood hobby of collecting beer caps led to playing go…click here for the interview. 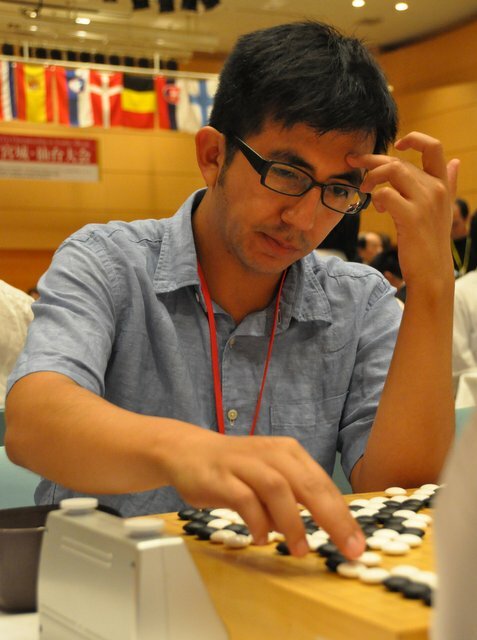 Interview with Artem Kachanovskyi: The Ukrainian 6-dan reviews his game with Chinese Taipei and his recent return to serious game study…click here for the interview. 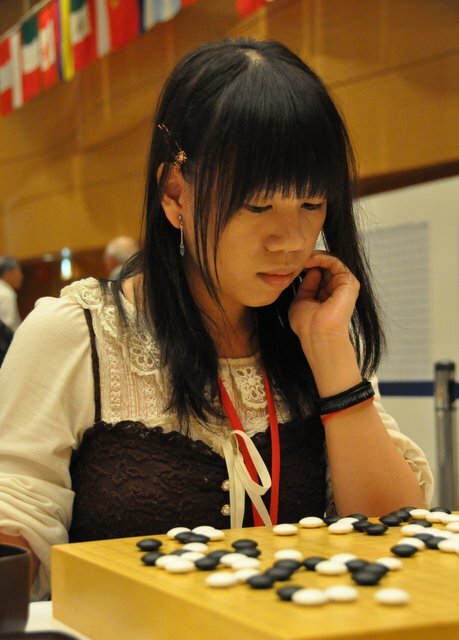 Interview with Suzanne D’Bel: The Malaysian player (left) — one of just two women in this year’s WAGC — explains ” why I like to play tengen openings.” Click here for the interview. Interview with Andrew Kay: A chat with the British player (the 4d ‘Warfreak2′ on KGS), about his aggressive style and go philosophy. Click here for the interview. Ranka Yearbook 1998: The 1998 Ranka Yearbook is now available in PDF format. Click here to download a copy.